1 What is Investment Banking? For the layman, investment banking is the provision of corporate finance (funding, capital structure and consolidation) services for corporates, governments, financial institutions and individuals. To provide the best service for the client, the investment banking or corporate finance division is segmented into coverage, execution and financing. The coverage team is the primary point of contact where a relationship manager who specializes in the sector will pitch and advise on corporate actions. For event-driven transactions (as opposed to upcoming maturities and refinancings or smaller, opportunistic share repurchases), an execution team is brought in to guide the process. For mergers and acquisitions, the bankers will provide modeling and assist with much of the documentation and process work. Depending on the corporate action, external funding may or may not be needed. The relationship manager may walk through different financing mixes with the company, but the actual issuance of debt or equity will be done through an equity capital markets (ECM) or debt capital markets (DCM) team. The financing teams know who the potential equity or debt investors are, where issues will price, and other market related information pertinent to the issue. Equity issues tend to pay sizable fees (~5% for mid-market companies), but are less exclusive than M&A as distribution is syndicated out to several different banks to ensure there is enough liquidity and access to demand (especially retail demand). Analysts will be expected to assist in putting together (i.e. do most of) the management presentation showcased to investors. This is a lot of PowerPoint work in beautifying the message via a pitch book. These pitch books are taken on road shows (ECM and coverage bankers with client company senior management market the equity issuance to institutional investors in several cities), where everything about the company along with the rationale for investment is presented. A good way to see a watered-down version of these decks is through the current investor presentation on an investor relations page on a company website. IPO materials are extremely comprehensive to maximize communication as well as to mitigate litigation. Secondary and seasoned offerings tend towards brevity, although with a major issue (TransCanada’s recent equity raises for cross-border acquisition), a large marketing effort is required and will involve several banks. Bankers will also underwrite the prospectus while the true Harvey Specter corporate lawyers will audit the file to see if there are any legal difficulties (the value that lawyers add is contentious to bankers). There will be an underwriters’ council that evaluates risk factors for the prospectus. There is no need to reinvent the wheel here, especially in Canada where there is a dearth of fresh ideas, and most prospectuses are edited from a boilerplate file. Analysts will rewrite and tweak the company’s business plan and do their best to articulate the message through well-manicured charts and graphs. The entire process takes 4-6 weeks, depending on what the company wants (the harder it is to market, the longer it takes). Figures are through management guidance, and a lot of time is spent waiting as the company may take a week to get the banker a number. The relationship manager (a senior banker at the Director or Managing Director level) evaluates the company’s expectations and addresses them in terms of feasibility. Managing expectations is more important for inexperienced issuers, as large corporates will have a good idea of what they can and cannot do in terms of fundraising. Bankers need to balance what the company wants, what the regulators want and what the market demands. Other than the first debt raise, the coverage team will generally take a hands-off approach, and the issuing company’s treasury will have regular discourse with the DCM team. Debt investors are generally (but certainly not always) larger and more sophisticated than the average equity investor. Canada has a very small high-yield market, so most non-private debt issues will be investment grade and the company will have been well established by then. Often, the company’s internal corporate development and treasury teams will have a good idea about the debt sizing and what they plan on doing with it. Once the idea is established, a conversation with the main relationship bank’s DCM desk will begin and syndication can happen extremely quickly. DCM will go with coverage for bank market updates to establish expectations where new debt issues will price. The preferred bank for DCM may differ from the investment banking coverage or credit lead (the bank who is the Administrative Agent on the deal and lends the most money) because company treasuries are cognizant of the ultimate cost of the debt (through execution in timing and syndicating to market and pricing through underwriting fees). However, there is implicit relationship pressure if a bank lends more money. Bankers tend to originate debt ideas only when some corporate finance change (i.e. acquisition, capital structure) is involved. Canadian junior bankers do not do a lot of work on DCM, unless they are in a ratings advisory group (financial advisory in many banks in the US) and map out possible downgrades. Bankers can be seen as an outsourced C-suite for corporate finance advisory and companies will often solicit idea generation. The nature of these conversations may revolve around optimal capital structure and return of capital ideas (dividend strategy, repurchases) and be extremely theoretical in nature. Once the relationship manager receives a thinking mandate from the client, the pitch book building begins, with instruction from the MD ranging from extremely vague to extremely granular. The MD will pass the idea on to the VP, who will draft slide skeletons for the associate and analyst. The associate will focus on modeling while the analyst will work on pulls, comps and data manipulation (for example, correlation charts – but the statistics tend to be rudimentary). The associate will check analyst work and the VP will double check and comment on additions (sensitivity table on this slide, etc.). After several edits from various stakeholders, the book is complete and taken to the client for discussion. If the client appreciates the ideas, the bank may win the financing or execution mandate without necessarily contributing the most balance sheet via lending. Due to the more expensive nature of global bank balance sheets, many bulge brackets try to pitch ideas as much as they can. The stamp on your resume allows for a transition into a variety of career paths, including jobs in private equity, hedge funds, asset managers, leading corporations, banks and government. If you love puppies, being an investment banker will make you a better steward of your dog shelter. This skillset and understanding of money flows through to non-profits, where they are arguably needed even more. 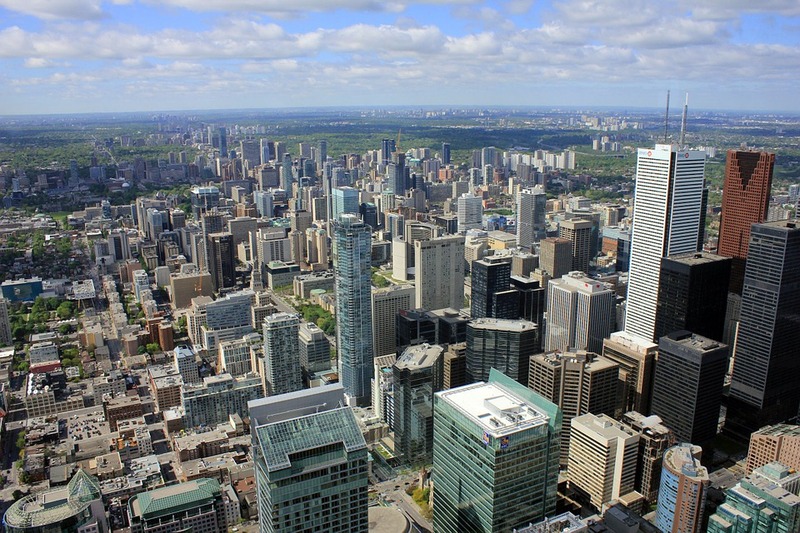 Canadian banks tend to have two-year analyst programs on contract, where high performing analysts are extended for a third year and promoted to associate after the completion of their third year. Analysts are also recommended to complete an MBA program if they are liked by the team but lack the intellect or maturity for a direct promote. For several Canadian banks, an MBA was required before an associate title was handed out. There is a shift in global investment banking analyst programs with direct promotion to associate after two years without a requirement for an MBA. We expect Canadian banks to follow as the competition for talent increases and perquisites to keep top students from choosing technology are enhanced. The associate is a higher paid analyst, although due to the relatively higher pedigree of their education, will be assigned less grunt work (data pulls, comps, slide making) and more modeling and deal work (unless a direct promote from analyst, in which case there is more responsibility for execution and deal exposure off the bat). Eventually, associates will be expected to be able to take the model from start to finish and check analyst work. Hours will be slightly better, but the pressure is there to get up the learning curve a lot quicker than an analyst to justify the higher compensation and the need to prove that a revenue generating and client facing role is warranted (Vice President and above). Associates are long-term hires and are not on contract like analysts. An associate role for over five years may be a gentle prod suggesting it is time to move on. A VP or director will be expected to create relationships and speak at client meetings, so it is important to develop client communications during the associate years. Analysts love being on the deal team and having privileged access to data rooms (depending on who you ask). Previously, data rooms used to be actual rooms – now they are secured websites (less fun). An analyst always must ensure every file is on the backup server, download all files and check files for corruption and mislabeling. This process is arduous and rewarding and can take tens of hours. Fortunately, it is extremely appreciated by the rest of the deal team (depending on who you ask). On a buy side mandate (where you may never win the deal), there is an added responsibility to send emails for every download to the client. You have some great articles and I really love your website. I have learned a lot! I wanted to ask if you could do a post about the perks of investment banking in Toronto, on various firms. It’d be great to have a better idea on that. Thanks, we will try to put something out on that this quarter.